MooseLabs was already successfully producing products for cannabis consumers when they stumbled upon a need for an idea. When attending a Cannabis Cup event, the crew from Moose Labs noticed friends and strangers sharing glass pipes and bongs. When they heard about a friend who had become very sick after attending a cannabis “sharing” event, the need for a clean and healthy solution became very clear. Moose Labs tackled the germs problem and came up with the MouthPeace and the MouthPeace quickly became the “must have” for safe sharing. Now you can share and socialize to your heart’s content and avoid your old and new friends sharing their bugs, viruses and cooties back. 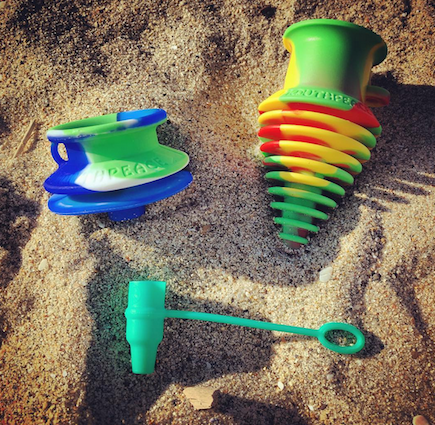 Available in three versions, your MouthPeace will fit all needs. Choose from: the Original with it’s tampered sure fit shape, the Slim which is just as universal but slim enough to fit in a pocket or a small purse and the Mini which is great for joints, blunts and pipes. All Moose Labs MouthPeaces are 100% Platinum Cured Silicone, Dishwasher and Hot Water safe and each one comes with a handy lanyard. 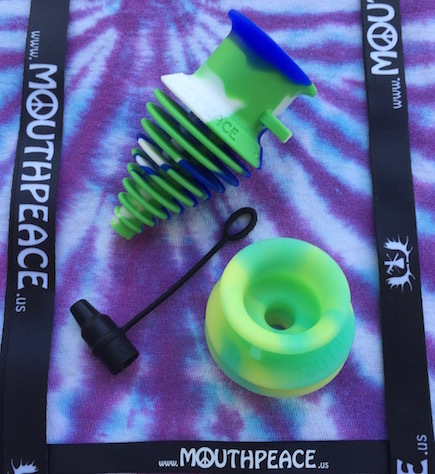 Check out the MouthPeace at Moose-Labs.com, Choose your favorite color and Stay healthy and safe.